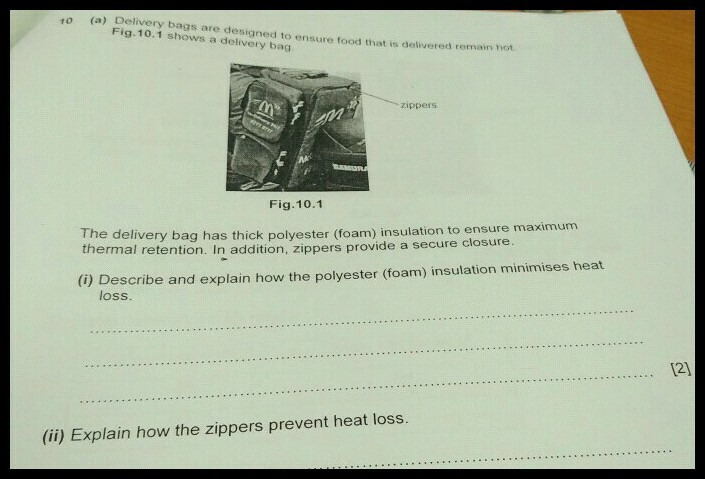 1- The heat radiation coming out from the warm food is not allowed to move outside of the bag due to thermal insulation. The polyester bag is used to reduce conductive heat transfer between the object and th surrounding. 2- Zippers prevent heat loss on a whole as the area they give for exposure of heat is very less so a very minimal amount of heat can be transferred from these.